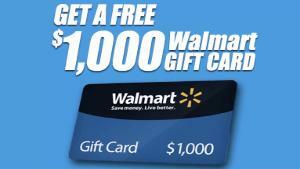 Prize: 5 winners: $1,000 Walmart Gift Card. 750 winners: $100 Walmart Gift Card. What you must do to enter: complete form -- 78 entries per person.